Growing up in Western North Carolina there were a lot of traditions that were so commonplace that you did not give them any real notice at the time. Now, several decades later, these traditions are some of my fondest memories. Growing up it was common to go over to the river, I was lucky enough to grow up 20 minutes from a world class fishery, and catch a mess of fish. I had never heard of "shore lunch" till I was grown and moved away from the mountains but this is exactly what it was and was just as much social as it was fishing. I have talked about my grandfathers a great deal, both of them were true mountain men and were a tremendous influence on me growing up. My maternal grandfather was an avid fly fisherman and would very rarely fail to catch enough fish for supper. On particularly nice summer evenings we would load up the necessary gear and accoutrements and head over to "the river", no I am not going to name what river, my grandfather would go fishing and I would play in the water and enjoy being out of doors. At this time I was too little to fish, my grandfather died when I was young, but this was a huge adventure for me. 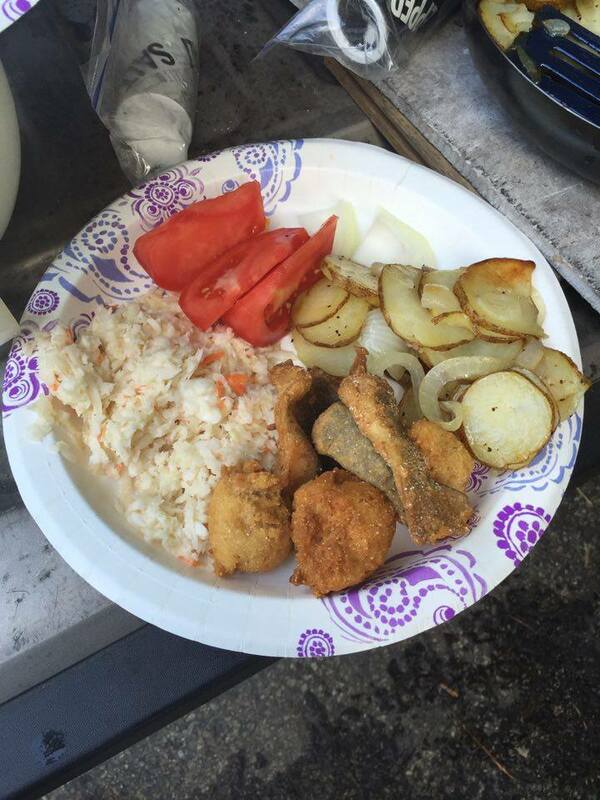 My grandfather would come back after a few hours, usually with a bulging creel of trout. I can remember to this day the fascination of the entire process of catching fish on a hook with a bit of fluff and feathers tied to it. My grandfather would clean the fish and my grandmother would fry them up along with some homegrown potatoes, hushpuppies and usually with spring onions and sliced tomatoes on the side. I challenge everyone reading this to find a finer meal, especially cooked right on the bank of the river where the trout were just caught. Fast forward a lot of years and life had gotten in the way of some of the simple pleasures. I had joined the Army and moved away from my beloved mountains. 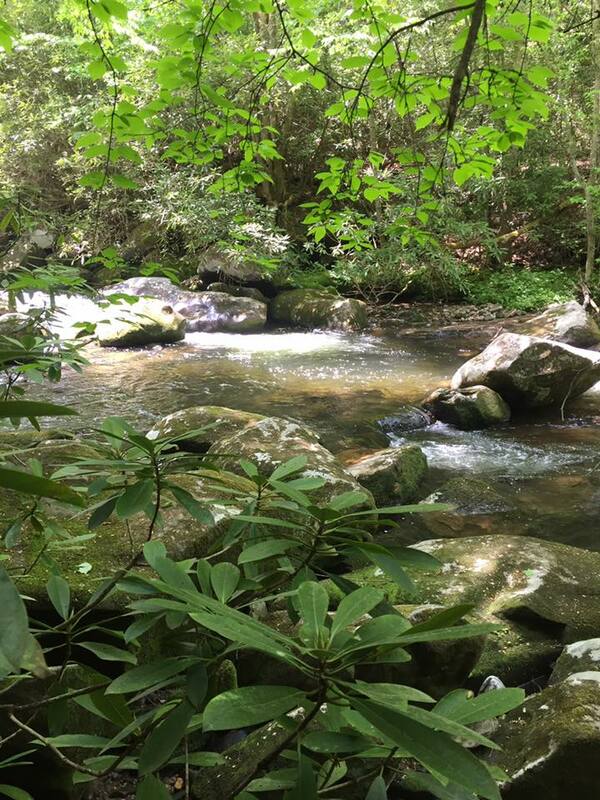 I had not been trout fishing in years and my fly rods had been gathering dust in a closet. I retired from the Army and reconnected with an old and dear friend. 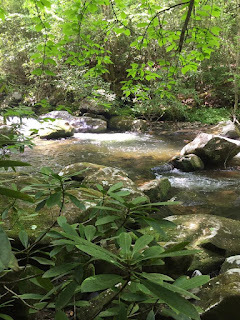 Growing up we were pretty much inseparable and roamed the mountains and streams of western North Carolina as we pleased, a fantastic childhood. He invited me to go trout fishing with him, along with his father and his son, of course I jumped at the chance. I really had no idea the years would take the toll that they had as far as my trout fishing skills went. Lucky for me, Frank, the friend that had invited me, was still an accomplished fisherman. I think I caught 3 fish but Frank limited out so we had enough fish for supper. Frank's father has all of the necessary cooking gear organized and stored in boxes that have a permanent home in the back of his truck, those small trout cooked on the tailgate of the truck were some of the best tasting food I have ever eaten, not to mention the camaraderie and all the memories that meal brought back. Yes I got, and still get, a lot of good natured ribbing about that trip, I think Frank's dad went back and fished over the same stretch of creek and caught a limit of fish the next week. Of course I blame me being out of practice and not any lack of personal skill, I will throw down the gauntlet and challenge anyone to a knotty head fishing competition! The pic below is one that Frank took right on the tailgate of the truck next to the creek. That trip was about 3 years ago and it reignited my passion for fly fishing and fishing the rivers and streams of my youth. Since, I have also introduced my son to fly fishing, he is in the Air Force and has the great fortune to be living in the fly fishing paradise of western Montana. Here is my son landing a nice rainbow, I added the music because I don't think anyone wanted to hear me yelling at him to keep his line tight. Me and my son have enjoyed several streamside meals and I am really thankful that I have been able to pass this mountain tradition on to him. I also appreciate Frank and his family for taking me along on the trip and reminding me of the simple pleasure of a day on the the river.